Irish Close champion Chris Selfridge sees no reason why he can’t match Rory McIlroy and complete a rare double - or treble - with victory in the European Individual Amateur Championship at Carton House. The 20-year old from Moyola Park has had a sensational season on the domestic circuit, following up his victory in the ‘Close’ at Portrush in May with a play-off win in the East of Ireland Championship just a week later. Now he’s one of 17 Irishmen in the elite, 144-man field that will do battle with the cavernous bunkers and waving fescues of the Montgomerie Course hoping to win the title and earn his place in next year’s Open Championship at Muirfield. While the winner will get to play in next year’s Open, providinghe remains amateur, two players in the field have already had that pleasure. Rathmore’s Alan Dunbar, who clinched the British Amateur title at Royal Troon, heads the Irish challenge hoping to dethrone Austria’s Manuel Trappel, who is back to defend his title. The Montgomerie course measures a stern 7,300 yards from the back tees and while it’s crucial to stay out of the cavernous traps that pock-mark the Scot’s “inland links”, calm and firm conditions mean it will not be as stern a test as it was in 2004, when it Welshman Craig Smith was the last man standing in the Irish Amateur Open. “It’s all about staying out of the bunkers,” said Ballymena’s Dermot McElroy, who is still waiting to record his first senior victory following his Irish Boys Close win in 2010. The Irish contingent will have a distinct advantage as many of them have played the course dozens of times during national squad sessions. Paddy Gribben (1998), Stephen Browne (2001), Brian McElhinney (2003) and McIlroy (2006) have all taken the title for Ireland but now a man in green will have a chance to emulate them on home soil for the first time. The international field features the cream of European Amateur golf and represents the last opportunity for players to stake their claim to a place in the sides to do battle for the St Andrews Trophy match between Great Britain and Ireland and the Continent of Europe at Portmarnock at the end of the month. The big guns including defending champion Manuel Trappel of Austria his compatriot and British Amateur runner up Matthias Schwab, as well as Daan Huizing of the Netherlands, who is third in the World Amateur Golf Rankings thanks to his wins in the Lytham Trophy and St Andrews Links Trophy this year. Ten of the 11-strong Irish team for this month’s Home International matches will tee it up - Irish Amateur Open champion Gavin Moynihan is on Home International duty for the Boys side at Baltray. But Diamond points to reigning British Amateur champion Alan Dunbar from Rathmore as the man to watch. The 72-hole strokeplay championship, which awards a place in next year’s Open Championship at Muirfield to the winner, concludes on Saturday. Dunbar, a former Irish Amateur Open champion, also finished runner-up at the St Andrews Links Trophy and will spearhead the home contingent which includes Brabazon Trophy runner-up Kevin Phelan, 2011 East of Ireland champion Richard O’Donovan, Reeve Whitson, Gary Hurley, North of Ireland winner Rory McNamara, Dermot McElroy, James Fox, Niall Gorey, Paul Dunne, Aaron Kearney and Jack Hume. 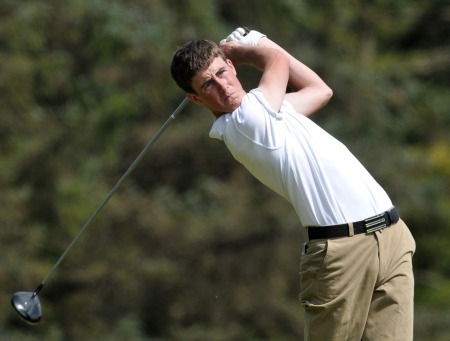 Among the English challenge are a number of US collegiate players riding high in the World Amateur Golf Rankings, such as Ben Taylor and Garrick Porteous, alongside Spanish Amateur champion Jack Hiluta and recently-crowned Welsh Stroke Play champion Craig Hinton. The Scottish contingent also have reason to believe they will mount a challenge with British Amateur semi-finalists Paul Ferrier and Jack McDonald among their numbers. 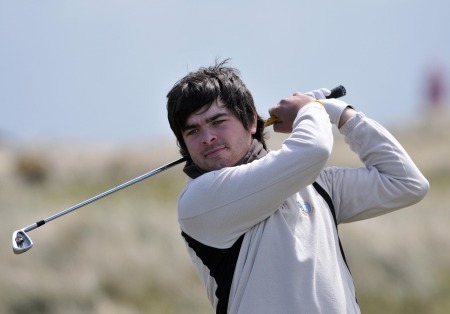 Meanwhile, Welshman Rhys Pugh certainly knows how to win in Ireland, having captured the 2011 Irish Amateur Open in Royal Dublin, where he narrowly evaded a final round charge from Huizing. 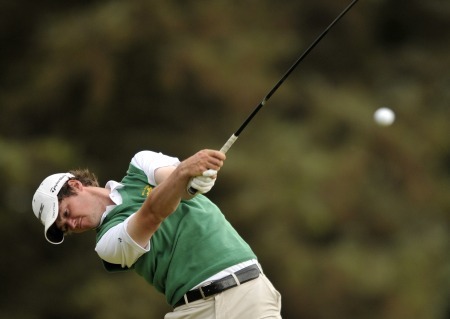 Huizing’s compatriot Robin Kind will also be one to watch in Carton House having won the individual category at the European Nations Cup and finishing runner-up at the 2012 Irish Amateur Open. The French challenge is also likely to be particularly strong, including among its ranks the name of Paul Barjon, who recently added trophies from the Scottish Stroke Play and Italian Amateur Championships. Germany’s representatives include one of the in-form players of the year, Marcel Schneider, who captured the Australian Amateur Championship earlier in the year, and Moritz Lampert, the 2012 Portuguese Amateur Champion. Belgian Thomas Pieters – a regular in the top-10 of the World Amateur Rankings and the current NCAA champion – is also one to watch. Kelan McDonagh was pleased with his 72 at Royal Dublin. Picture by Pat Cashman/GUIKelan McDonagh confessed that golf has been put firmly in perspective by his girlfriend’s brave battle with cancer after he opened with a grinding 72 to keep the leaders in his sights in the Irish Amateur Open at a weather-challenged Royal Dublin.